Another common pitfall when companies introduce gratitude is assuming that everyone wants to be appreciated in the same way. Pollack likens appreciation to love languages: Each individual’s language of appreciation is different, and we risk miscommunication if we assume everyone likes to receive a card, a coffee, or public praise. She has compileddozens of different gratitude practices to try at work, from surprise care packages to appreciation badges to a celebration calendar. 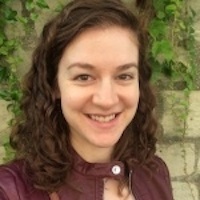 Kira M. Newman writes, edits, and produces content for all of the Greater Good Science Center’s websites, from the magazine to Greater Good in Action to the Science of Happiness MOOC, for which she’s served as course assistant for three semesters. Offline, she is the creator of CaféHappy, a Toronto-based meetup that gathers monthly to discuss how to be happier. Kira comes to GGSC from the world of tech journalism, where she was published in outlets including Social Media Monthly and Tech.co. She spent four years traveling around the world and loves speaking French, swing dancing, and exploring local cafes.